Greetings! This week, we’re returning to a previous entry from this year and giving it a dark twist. 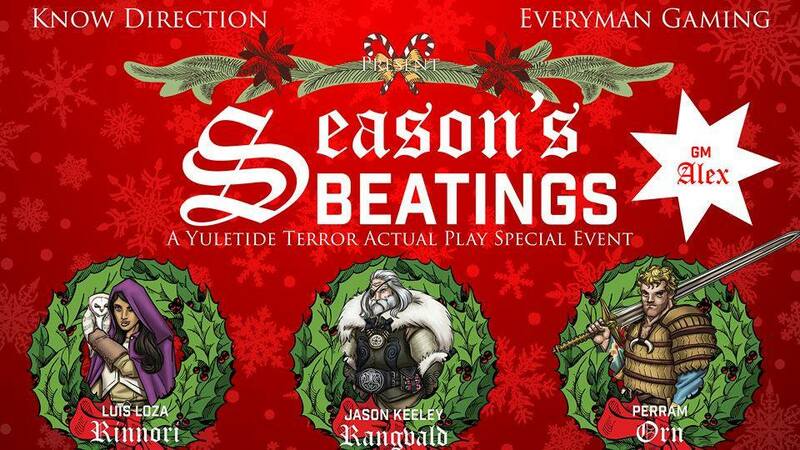 It’s a November tradition… ? Anyway, this week, we head off to space to fight Dark Samus! Charge Shot (Ex) As a move action, Dark Samus can charge her phazon beam to create a more powerful shot. Each time she charges her phazon beam, she can target one additional creature when fired. Dark Samus can charge her beam up to 2 times, to a total of three targets with one phazon beam attack. The power beam remains charged until the next time which Dark Samus fires the power beam. Morph Ball (Ex) As a standard action, Dark Samus can transform into an armored ball. While in this form, Dark Samus’s speed increases to 90 feet, her size changes to Small, and she loses access to all attacks. She can return to her normal form as a standard action. Phazon Beam (Ex) The phazon beam has a range increment of 60 feet. Phazon beam attacks are considered magical for the purposes of damage reduction. If Dark Samus confirms a critical hit with the phazon beam, the target creature must succeed at a DC 17 Fortitude save or become encased in phazon and paralyzed for 1 round. Phazon Shield (Ex) Dark Samus can create a barrier of Phazon as a reaction. This barrier increases Dark Samus’s damage reduction to DR 10/— until the end of her next turn. Once she has used this shield, Dark Samus must wait 1d4+1 rounds to activate it again. 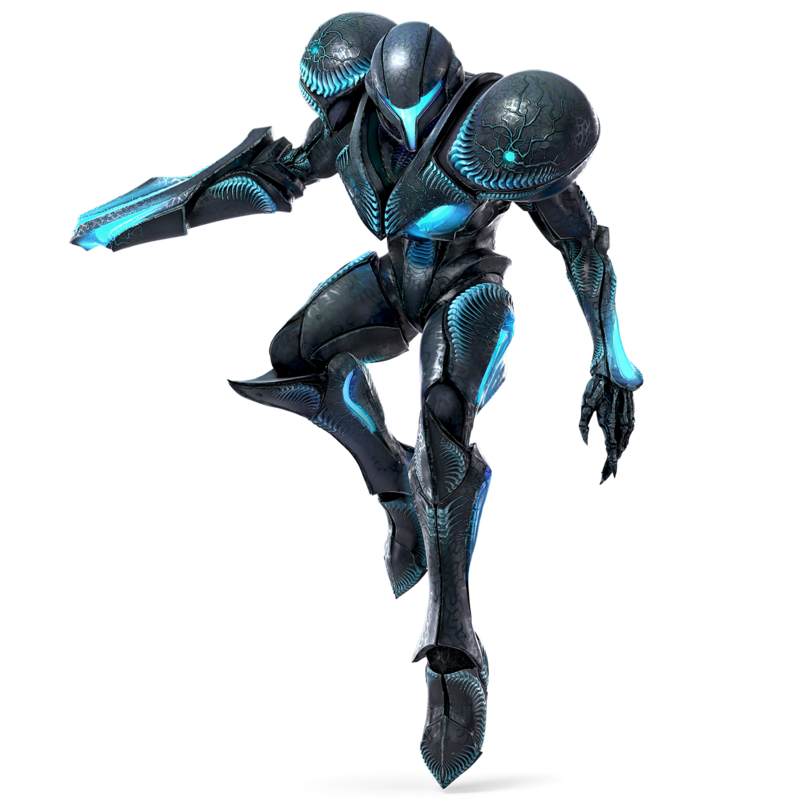 Phazon Suit (Ex) The morphic nature of Dark Samus’s suit grants all critical hits against Dark Samus a 10% chance to fail and deal normal damage instead. Dark Samus is a living creature made from a radioactive, organic substance called phazon. 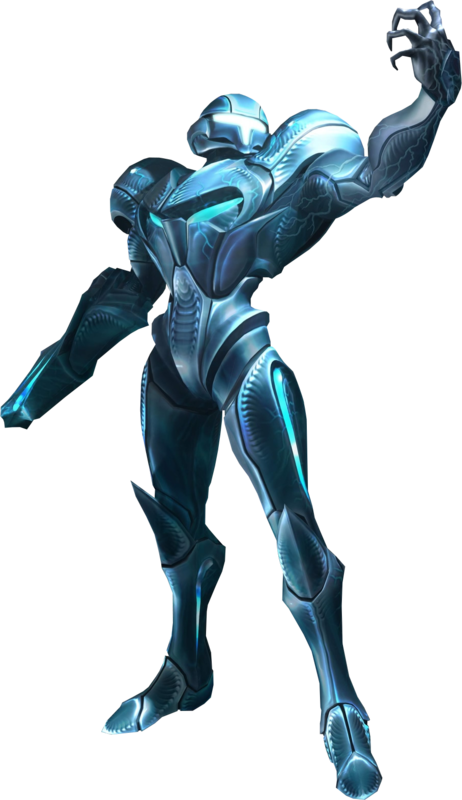 The creature came about when phazon overtook one of Samus Aran’s power suits and bonded with it, creating a new living creature that takes the shape of the suit. This suit gained many abilities of the suit, such as the ability to collapse into a morph ball, but took on a life of its own. Using its inherent phazon, Dark Samus is able to fire beams of phazon infused energy at creatures. This phazon energy can freeze a creature much like ice. Dark Samus can scattered bursts of phazon that affect multiple creatures, leading to groups of creatures becoming quickly overwhelmed by Dark Samus’s abilities. Dark Samus is highly intelligent and and as a result, a very dangerous foe. That’s it for this week! If you end up introducing Dark Samus into your game or you have any request for a future Monstrous Physique, please drop me a line at KnowDirection@hotmail.com.